Add that final decorative element to your Halloween parties, special occasion, or any event with our personalized printed Halloween ribbon. Our luxurious Halloween ribbon comes on a continuous roll. You get the choice of ribbon size, ribbon color, typestyle, and imprint color. Each spool of Ribbon comes with approximately 8 to 12 imprints per yard with 1 to 1½" of spacing between each imprint. 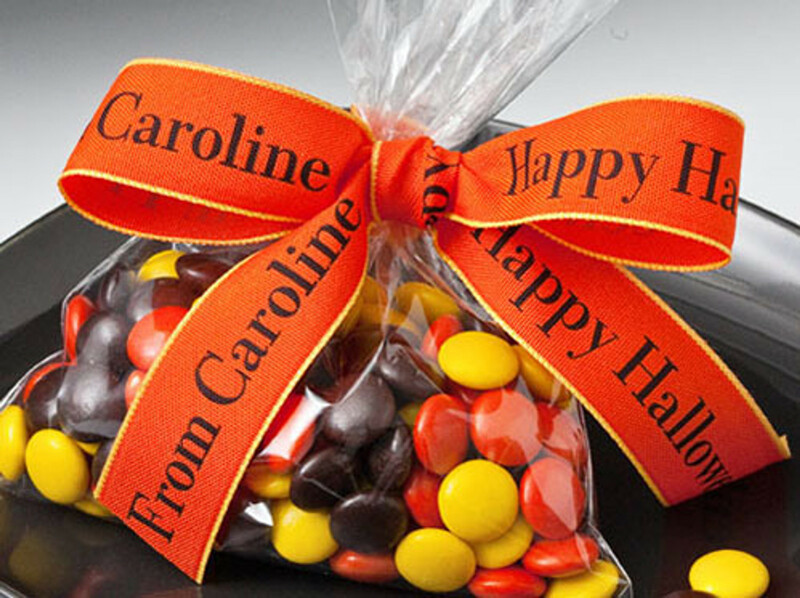 Personalized printed Halloween ribbon has been seen on the Rachael Ray Show's Best Holiday Gift Ideas Show and featured in Oprah's O Magazine's in the Favorite Things List.